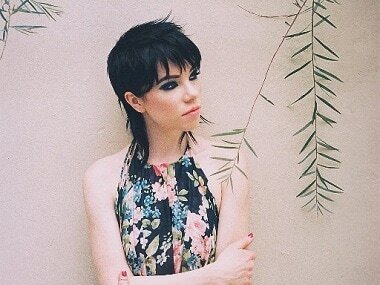 Here's one more track from Carly Rae Jepsen's Emotion album, which released recently. The power-pop tune 'Cut to the Feeling' will also be featured on the soundtrack for the forthcoming animated film Leap! to be out in August 2017. Jepsen goes for an eighties pop mode for this ultra vibrant song, which has massive synths, generous harmonies and a big, old fashioned chorus. "I wanna cut through the clouds, break the ceiling," she sings. "I wanna dance on the roof, you and me alone/ I wanna cut to the feeling, oh yeah." Jepsen released Emotion in 2015 and followed the album up with Emotion Side B last year, an LP with previously unreleased tracks recorded during her sessions for Emotion. Jepsen will voice a ballerina named Odette in Leap!, which was released under the title 'Ballerina' in Canada earlier this year. Elle Fanning and Nat Wolff voice the animated feature's main characters, two best friends who want to move to Paris and follow their dreams. Maddie Ziegler, Mel Brooks and Kate McKinnon are also part of the film's cast. Jepsen shot into fame with her debut single 'Call Me Maybe' but hasn't had luck with pop tracks since. But it looks like she might be topping the billboard charts again with this number. Check out 'Cut To The Feeling' below.